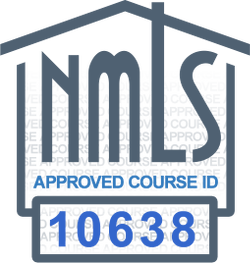 This 2019 course meets the Utah Division of Real Estate state-specific requirement for MLO annual license renewal through the NMLS. The Utah Division of Real Estate (DRE) require those who hold a Utah mortgage license to completed a two-hour course on Utah mortgage laws and regulations as a requirement for annual license renewal. This online course covers the required topics as defined by the DRE for 2018 license renewal through the NMLS. This two-hour course will cover the topics outlined by the DRE. We'll start with updates to the Utah Residential Mortgage Practices and Licensing Act that were added by the passing of House Bill 243 in 2018. The course will explain the new experience point system for those applying to be a Lending Manager, and review the prohibited acts related to kickbacks and referral fees. Finally, we'll review cases of licensee violations that resulted in orders or fines by the DRE.